R126 - Amber (5 1/2) - New! R120 - Amethyst (5) - New! 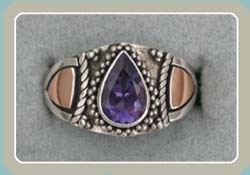 R127 - Amethyst with 18K Accent (5 1/2) - New! R121 - Lapis (5) - New! R147 - Silver with 18K Accent (5 1/2) - New! 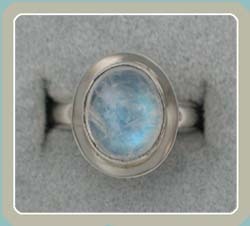 R128 - Topaz Moonstone with 18K Accent (5 1/2) - New! 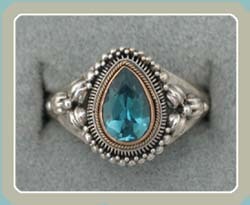 R129 - Blue Topaz (5 1/2) - New! 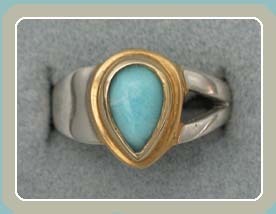 R125 - Turquoise with 18K Accent (5 1/4) - New! R130 - Iolite (5 1/2) - New! R122 - Spectrolite with 18K Accent(5) - New! R119 - Mother of Pearl (5) - New! 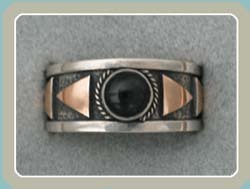 R131 - Black Onyx with 18K Accent (5 1/2) - New! 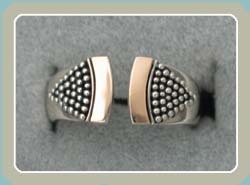 R165 - Silver with 18K Accent (5 1/2) - New! R124 - Silver (5) - New! 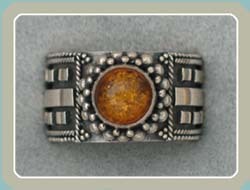 R132 - Silver with 18K Accent (5 1/2) - New! 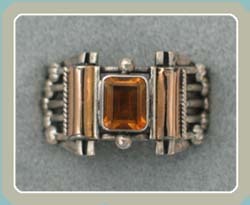 R169 - Citrine with 18K Accent (6) - New! R170 - Moonstone (6 1/4) - New! 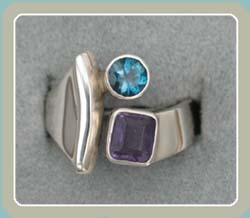 R152 - Topaz Amethyst (6) - New! R171 - Topaz with 18K Accent (6 1/2) - New! R140 - Larimar (6 1/2) - New! 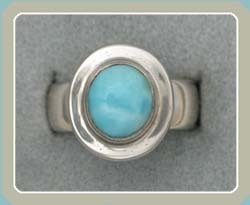 R141 - Larimar (6 1/2) - New! 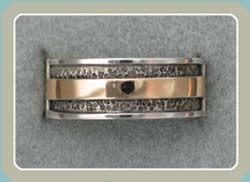 R144 - Black Onyx with 18K Accent (6 1/2) - New! R149 - Amber (7) - New! R160 - Amethyst with 18K Accent (7 1/2) - New!